Vehicle wraps, also known as vinyl wraps, are the most cost effective, convenient form of advertising for small business. In our 50 plus years, Full Sail Graphics has learned that vehicle wraps work with so many different time frames and/or price range for budget. 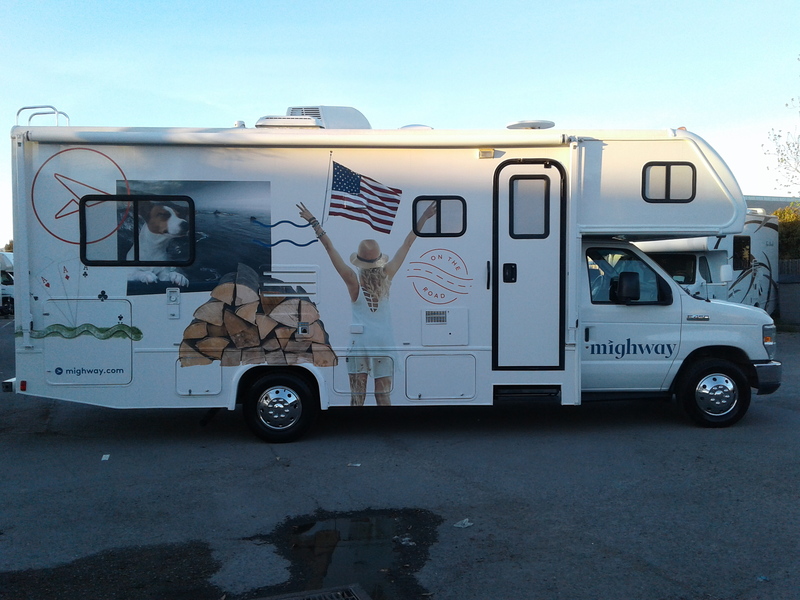 Vehicle wraps increase the overall brand image, the amount of impressions made on potential customers, and the overall number of customers that utilize the service your small business provides. To learn more information about how Full Sail Graphics & Marketing can help your business reach its marketing and advertising potential, read the 3 benefits of vehicle wraps. Small businesses often rely on word of mouth or grass roots forms of advertising campaigns. Well, how can your business get more people to know its name? Vehicle wraps constantly promote your brand, your company name, and your logo. With a mobile form of advertising, your business unlocks unlimited potential for how many consumers have the ability to see your brand image. This exposes clients to your business and it also legitimizes your brand image. We get it.. not every small business has the same advertising budget as mega corporations. Vehicle wraps have the lowest cost per impression of any form of advertising. This means that you have the potential to generate more leads, for less money. And unlike tradition means of advertising, what you see is what you get. There are no hidden costs, no recurring fees, and no hassle. It isn’t often that business have the opportunity to one hundred percent customize their their advertising medium. A vehicle wrap can do just that. At Full Sail Graphics, we can generate a design that incorporates brand image and contact information. Our goal is to create a space that is solely about your customer being able to contact you. With over 50 years of combined experience in graphics and marketing, the Full Sail Graphics team is confident that we will deliver quality graphics on time and on budget. If you’re looking to diversify your marketing techniques, please feel free to give us a call at (714) 451-8428 or visit our website at //fullsailgraphics.com.